Nostalgic heritage sites, lush greenery, historical railroads. Sound like great places for some hiking or historical excursions, don't they? Yet, you would be surprised to know that these unique places are actually some, and in fact, most of the race routes of last Sunday's Green Corridor Run 2015! 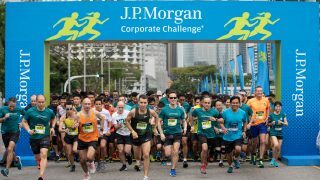 Whilst many of you were still lazing in bed, hundreds of enthusiastic runners were already gathered at Tanjong Pagar Rail station, eagerly waiting for the Green Corridor Run to start. Not to mention, many of the famous running clubs like The Yellow Fellows and F1 Runners were there too! 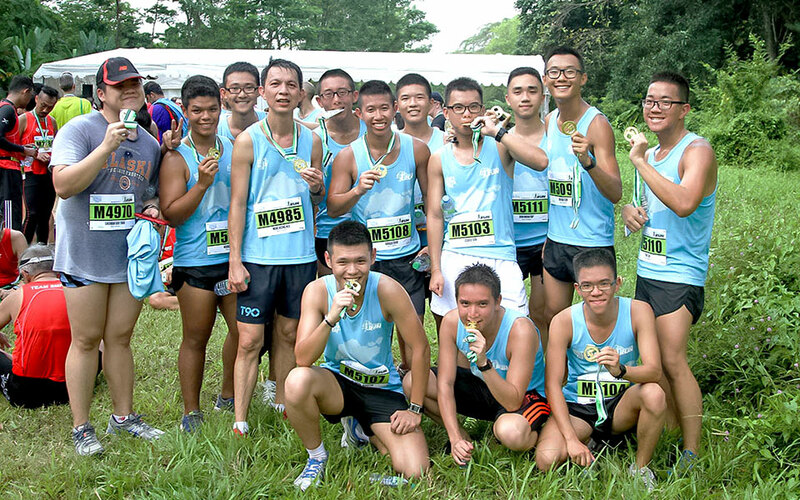 Decked in blue race singlet, I was there to unlock one of my achievements for 2015—to complete a 10km nature trail run. The Green Corridor Run provided me with this chance, and though it was 500m more than my initial resolution, I did not hesitate to jump upon this opportunity. So, what is so different about The Green Corridor Run this year? 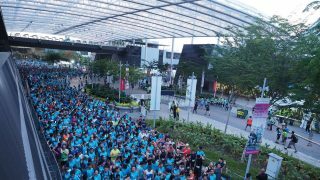 Well, unlike in previous years, The Green Corridor Run will be held in conjunction with Singapore's World Water Day celebrations. To do so, it has launched a new category this time round—Keppel Land Water Challenge. 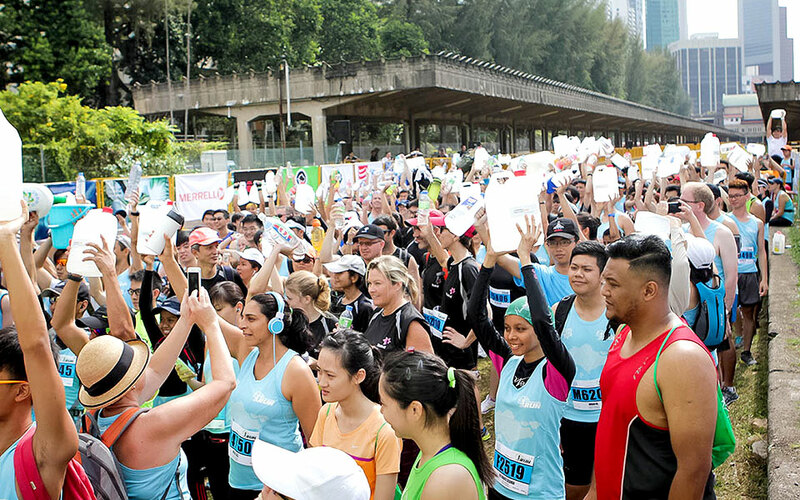 As a non-competitive category, participants can fill their recycled bucket/jerry can of water at the starting line. They have to carry it till the end of the race in which for every liter of water that is being accumulated in the ceremonial well, S$1 will be donated to charity:water. Sounds interesting, doesn't it? Follow me through as I take you through the run! 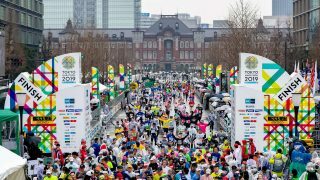 Despite the overwhelming number of participants and the fact that several parts of the race routes were narrower, congestion was pretty much non-existent. How so? 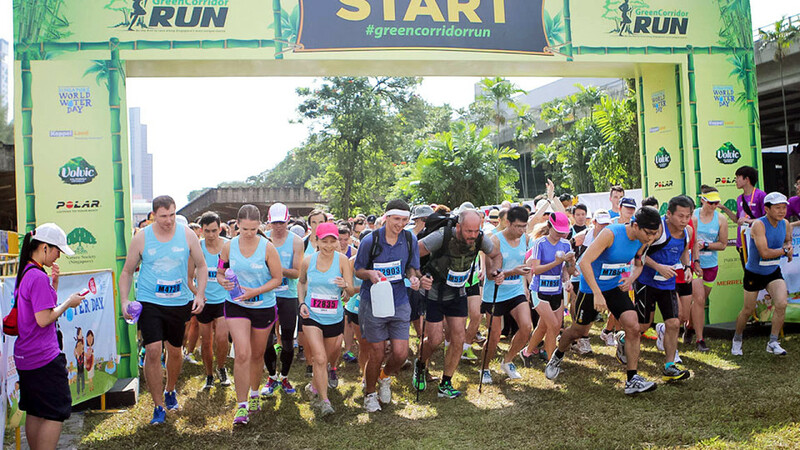 Well, The Green Corridor Run 2015 was divided into three different waves. 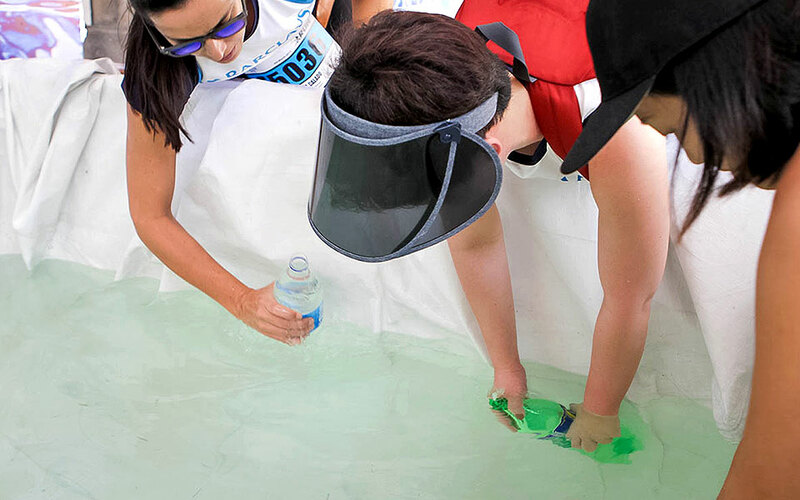 The first wave started at 9:00 a.m. sharp as followed by the 2nd at 9:20 a.m. and the 3rd at 9:40 a.m. As the weather has been mercilessly hot these few days, we were glad that there were plenty of water stations, serving both isotonic and non-isotonic drinks. What's more, there were several sheltered or shaded areas along the race routes too. 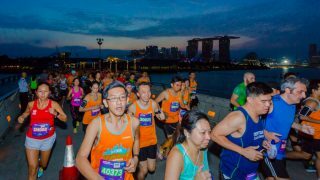 With several obstacles like rocky terrains and sweltering hot weather being presented to us along the race, it was hard to stay motivated even with the top 50 runners' playlist on our mobile devices. The organisers of The Green Corridor Run must have read our minds as they have plenty of motivators and road marshals situated along the race routes. With their enthusiastic and sincere encouragement, many of us managed to regain the strength (mentally and physically) to strive further and faster. In fact, with clear distance markers for every 500m along the race routes, it was encouraging to count down to the distances you have completed along the race. In the photo on the right: Me enjoying the race. Need Your Restroom Break? No Worries, They Have Plenty! We know that many of us have had experiences of bad tummyaches during a race and yet, there was no restrooms nearby at all. Well, for this race, do not worry. Portable restrooms were located at about 1km apart along the race routes. In fact, at both the starting and ending points of the race, there were plenty of portable restrooms for you. Despite its several commendable areas, every race do have its room for improvement. The same goes for The Green Corridor Run 2015. Several of its participants had awful running etiquettes which included harsh shoving, pushing and so on. Yet, these bad experiences were compensated by the scenic race routes. Not only can you witness the artistic graffitis drawn on the tunnels, you can also wrap yourself up in the serenity of nature. In fact, running along the railroads allowed many of us to take a trip down our memory lanes—the history of the railway stations, our trips on the trains, the stories that the railroads shouldered upon. It was like a journey down the time capsule that is all enveloped in a race. To conclude, The Green Corridor Run is one that any runner should never miss out every single year. If you are a beginner, take it as a challenge. If you are a seasoned runner, learn to appreciate the historical value of the race routes. Worry about the transport? Well, fret not. Shuttle buses are provided both to the starting area and from the finishing point of the race. So, do not hesitate to grab your slots and join me for this race next year! 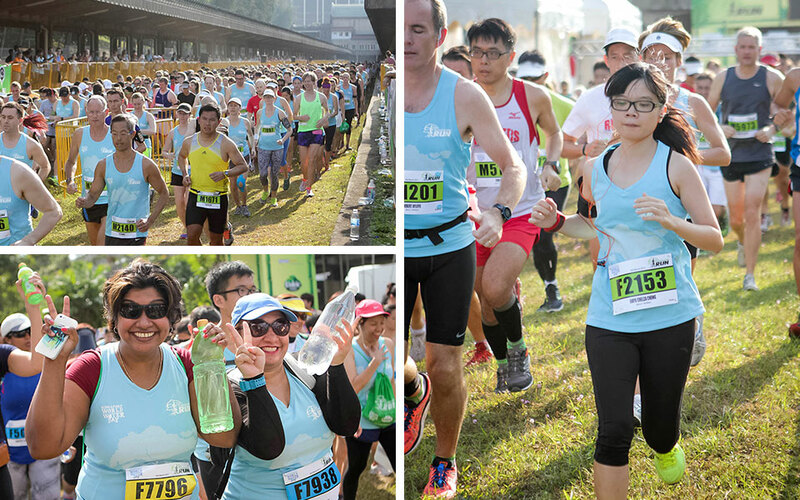 Join this race filled with historical value, heritage sites and scenic greenery! Good: Clear distance markets along the race routes. Whether you are a seasoned runner or a beginner, we all know how encouraging distance markers can be. 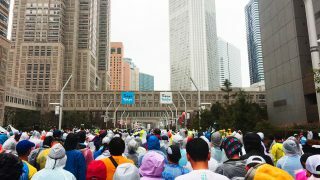 I believed that many of the runners, like me, were really happy each time when they realized that their endurance has pushed them through another 500m of the race. Good: Clear signages throughout the race. The organisers of the Green Corridor Run have really put in huge efforts in making sure that none of their participants will feel lost throughout the race. There were clear signages of the baggage deposit areas for participants of each waves, starting point, first aid area, restrooms and so on. Good job, guys! Good: Plenty of road marshals. This is one of the few races with a lot of road marshals. Not only were they enthusiastic in cheering for us, they were also observant enough to make sure that we were able to avoid any huge obstacles that will cause us to trip and fall. 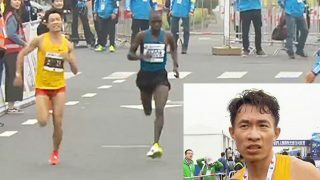 Room for improvement: Due to the fact that this is a pretty competitive race, many of the runners lack the proper running etiquette. It would be good if the host can brief the participants about running etiquette the next time round.